A long time ago, in a galaxy near Mobile Bay, a couple of recovering lawyers were faced with a daunting proposition: Brew or brew not, there was no try. 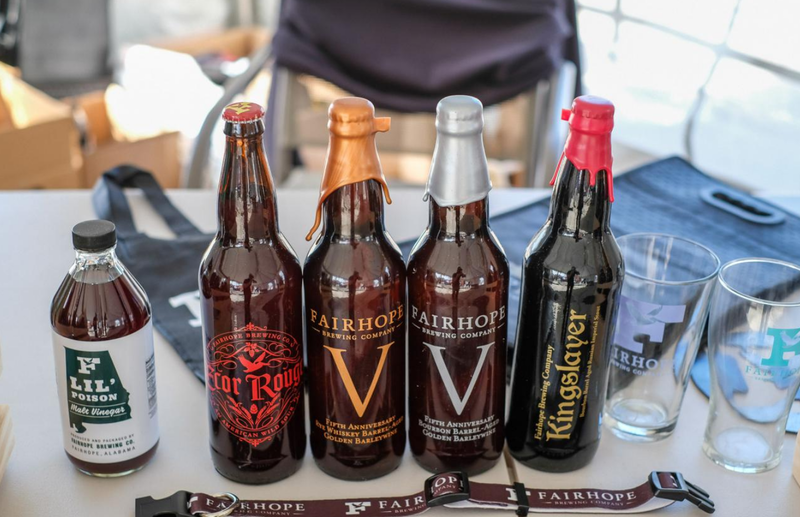 They opted to brew and abandoned their day jobs to open Lower Alabama’s Craft Brewery, the Fairhope Brewing Company. Five years later, the force is still strong as the team at Fairhope Brewing Company is celebrating recent facility expansion with the addition of its new grain silo, launching it’s fifth year-round beer in bottles (available in stores this week) and of course, throwing the party of the year. Charge up your lightsabers and shine your storm trooper boots, and join Fairhope Brewing Company on Saturday, Jan. 20 for their 5th Annual Anniversary Party: The Brewery Strikes Back. The locally-owned brewery will offer its coastal brews in signature anniversary glassware that patrons can take home. In addition, roughly 45 small-batch beers will be on tap, including some of the brewery’s most successful seasonal ales from the past five years, as well as new favorites brewed just for the celebration including styles like Breakfast on Endor, a bacon-infused beer; Brewbacca, a black barley wine; The Dark Cider; Jabba the Hop; and JedIPA. Rounding out the event will be live music from Mitch Johnston, Edward David Anderson, and the Steel City Jug Slammers. Food will also be available from The Bean & Bistro and Bleus Burgers Food Truck.